To what extent did the events of the Cold War alter the methods, aims and spaces of interrogation? How might this history intersect with developments in the ‘psy’ sciences? In July 2016, the Hidden Persuaders project hosted a workshop on these questions, ‘Interrogations: Psy Sciences, Coercion and Confession in a Time of Cold War’. Across two days of wide-ranging discussion, we considered key moments in the history of interrogation–including the international legacies surrounding ‘brainwashing’–and how these might reveal diverse assumptions about the self and psyche, testimony and truth, coercion and persuasion. During the workshop, the doctoral students of the Hidden Persuaders Project interviewed participants about their research and reflections on the workshop’s themes. Below are four short videos that give a flavour of these conversations (please see the very end of this page for a video that unites the four segments). We hope these extracts from our interviews will encourage further discussion of the histories of interrogation, psy sciences, coercion and confession. Please note: The comments presented in these videos reflect the diverse views of the contributors, and do not necessarily coincide with those of the Hidden Persuaders Project research group. These videos should not be reproduced or cited without the express permission of the interviewed subject(s) and of the Hidden Persuaders Project, which retains the copyright for these videos. Why is it important to consider the history of interrogation? What has been the relationship between ‘psy’ expertise and interrogation? How did the Cold War lay claim to interrogation as a battleground of psychological conflict? 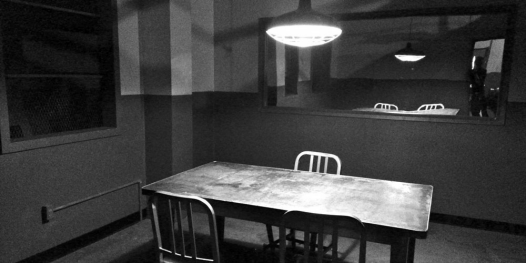 Does interrogation need an interrogation room? The ‘Interrogations’ workshop was organised by Marcia Holmes, post-doctoral researcher on The Hidden Persuaders Project.